Is Business Succession Planning Necessary? Whether you own your own business, it’s important to think about the future of your business when you are no longer actively involved. At some point, you will want to retire and enjoy the benefits of your hard work, and create a solid strategy is key to the continued success of your business. It’s also necessary as an owner to protect your family from legal disputes and monetary loss if you should pass unexpectedly or become disabled. On the other hand, if you are part of a partnership or company, all the owners should have a specific business succession plan in place in the event that one person retires, chooses to leave, or passes away unexpectedly. 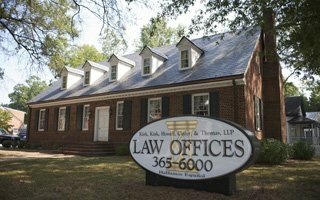 Business succession planning with an experienced Raleigh attorney guarantees a smooth transition of your business and finances no matter what the circumstances are. The legal team at Kirk, Kirk, Howell, Cutler, and Thomas works with all types of business owners to provide the expert counsel, insight, and services you need to create a solid succession plan that aligns with your goals for both your business and your family. Nearly every type of business succession plan involves some type of buy-sell agreement, also called a buyout agreement. 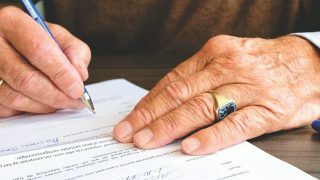 This is the contract that stipulates the sale of your share of the business, and it protects your business from ending up in the wrong hands or avoids lengthy legal issues for your partners or heirs. Our legal team has the expertise needed in drawing up buy-sell agreements to ensure your business goes to the right party. Depending on what kind of business you have, there are three common options of how you want to transfer your ownership. We’ll work with you to determine the best option for you and your family. You’ve worked hard to build your business, and what better way to create a legacy and protect your family than to pass down a thriving enterprise? We will help you look at your options for who should take over the business, or in the case of multiple children or heirs, which person will take over what aspect of the business. Our attorneys can also provide options for compensating other children who aren’t included in the family or establishing a buy-sell agreement that allows your non-active family members sell their shares to those who are actively in the business. Because taxes are a factor in any inheritance or business transfer, we’ll also determine the best course to reduce the tax burden and prevent any unnecessary financial loss. In many businesses where there are two owners or multiple owners, the business succession plan involves a buyout from the partner or other partners. We can help you draft an agreement with your co-owners that when you retire or pass away, they can purchase the business interest from your spouse or heirs, and we will also walk you through how life insurance policies are used to fund a buy-out in the event one partner passes away. In the event you don’t have an heir or co-owner to transfer your business to, selling to a third party may be a better option. In this case, we will draft a buy-sell agreement that is specific to this type of arrangement, and provide you with the necessary guidance to prepare your business for sale to get the best selling price for yourself or your family. As part of your business succession plan, we help you obtain business valuation, which takes stock of your business entities and assets and provides an accurate detail of the value of your business. This prevents any mistakes that can stem from an incorrect assumption and ensure any buy-sell agreements are fair. In order to maintain the accuracy of the value of your business, it’s important to update the valuation every two to three years. If you retire from your business, you have ample time to plan out how the business will continue or how any restructuring should occur, but that doesn’t mean you shouldn’t have a continuation and restructuring plan in place. If you should pass away or become disabled, there should be a clear plan in place that names a controlling owner and a temporary plan in place to keep the business running during the sale or transfer of the business. Our team of attorneys will draft a continuation plan and also work with you to determine if any restructuring would be advantageous to prevent tax liabilities or improve ownership opportunities for family members. We know that creating a business succession plan seems overwhelming and complicated. However, with an experienced attorney looking out for your best interests and protecting your family, you can feel confident that your business is in good hands. At Kirk, Kirk, Howell, Cutler, and Thomas, LLP, we offer the comprehensive business succession planning necessary to fulfill your goals and protect your interests. Call us today at 919-615-2473 or fill out the form below to schedule a consultation.